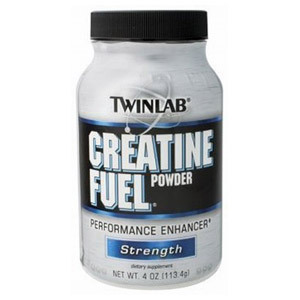 Creatine Fuel Powder Improve Muscle Strength, Performance and Lean Mass with Creatine Fuel. Creatine plays an important role in the transfer of energy. In the muscle, it is used to fuel the process of contraction. It is converted to phosphocreatine which is important for short energy bursts such as sprinting and weightlifting. Depletion of phosphocreatine can result in muscular fatigue and fading of muscular power! Research shows that creatine users had a significant increase in peak power output, lean body mass and muscular performance. Depletion of phosphocreatine can result in muscular fatigue and fading muscle power. This entry was posted on Saturday, January 5th, 2008 at 1:01 am and is filed under Sports Nutrition. You can follow any responses to this entry through the RSS 2.0 feed. You can leave a response, or trackback from your own site.